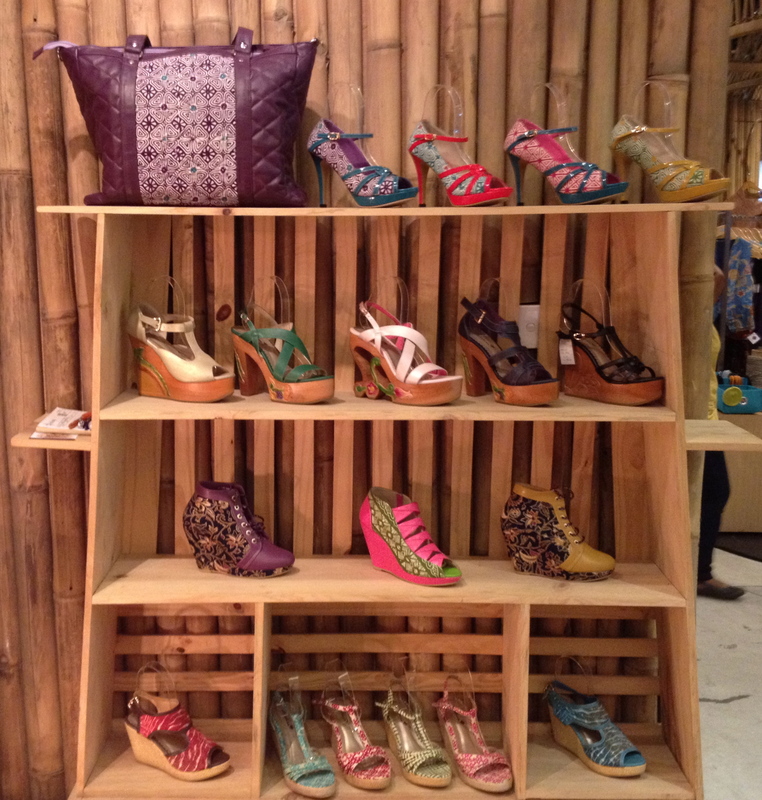 La Spina Collections exemplifies many of the things I am encouraged about in Indonesia – all coming together into a line of shoes. 1. The shoes are beautiful and inventive. 2. The collection embraces Indonesian heritage. 3. The products uses batik fabrics from villages to promote and help its artisans (mostly in Java). 4. 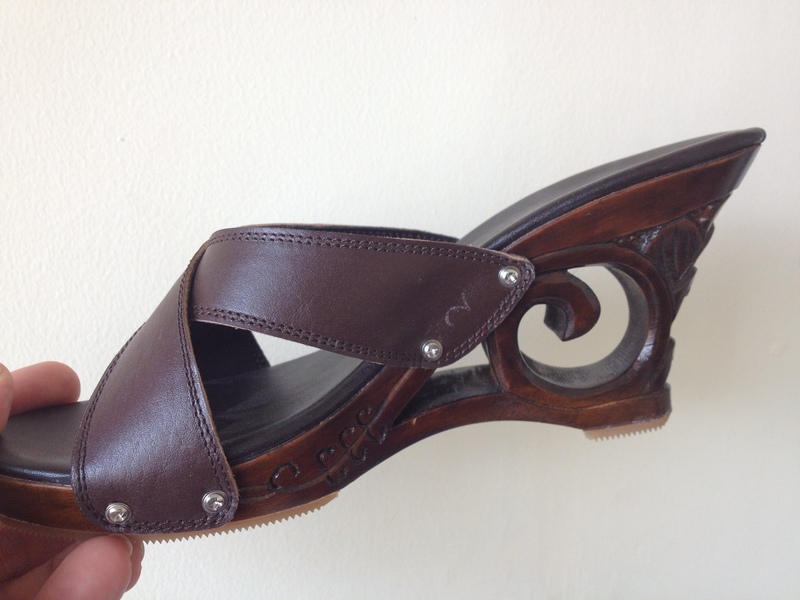 The shoes also use wood carving as we saw in Bali. 5. The business is a pure start-up, starting from a group of three highly skilled shoemakers. 6. La Spina received entrepreneurial coaching and international exposure by the Femina Group. 7. The collection is now growing rapidly with exposure at Tokyo Fashion Week and previews in Europe. 8. Established local companies who embrace the heritage batiks are now contracting La Spina for some special collections. All of this is the product of the efforts by design entrepreneur, Lianna Gunawan. Lianna was gracious enough to give me a full tour of her operations – from back office and retail store in Jakarta to her factory in Bandung. Her operations are growing and her staff will need to expand to keep up. It was refreshing to see in Bandung how shoemaking really starts and the craft involved to make beautiful shoes. It will be an interesting challenge to see how Lianna can keep up with growing demand and maintain her vision to use heritage fabrics and techniques and fuse them with her flair for contemporary style. If anyone is up for it, it’s Lianna, and I think we’ll be seeing a lot more of her as an icon of new Indonesian fashion design. 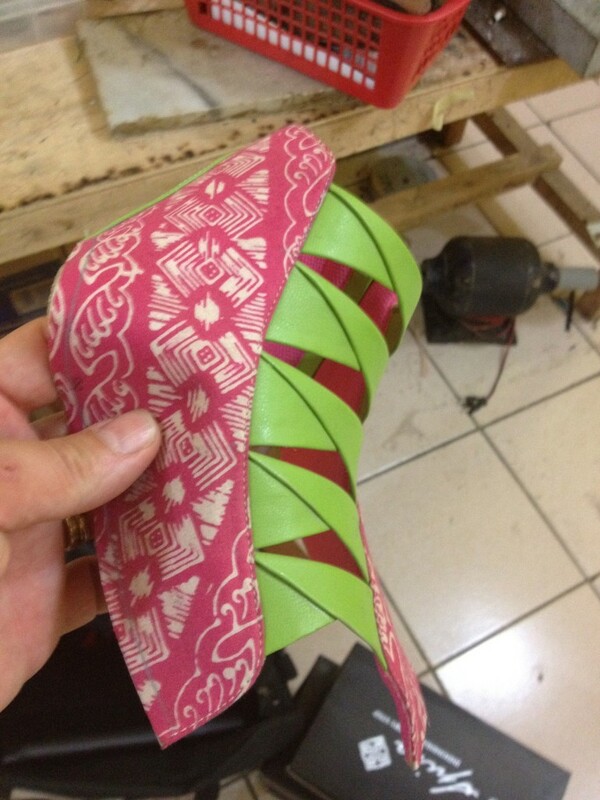 This entry was posted in Creative Culture, Design, Indonesia, Manufacturing and tagged Batik, Bundung, heritage, Jakarta, La Spina Collections, Lianna Gunawan, Shoes, Tokyo Fashion Week on July 30, 2012 by aly. Eisenhower Fellows are spread far and wide, but I have yet to meet one on this trip who is not doing important work that resonates with my own goals. 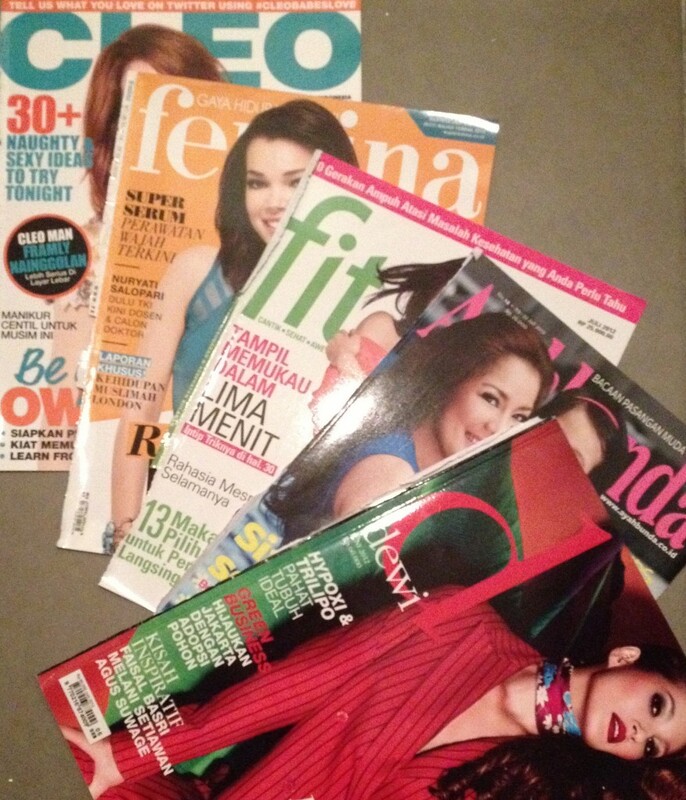 Svida Alisjahbana runs the Femina Group, Indonesia’s largest media outlet for women (if not all people) in the country. With more than 14 media brands, they have been able to secure a compelling foothold in Indonesia’s culture. It was refreshing to hear Svida’s passion on supporting the women enterepreneurs of Indonesia. With exceeding clarity she presented compelling statistics that by far the biggest part of Indonesia’s future is the Small to Medium Enterprise (SME) businesses run by women. According to the scholar Dr. Dana Santoso Saroso of Universitas Mercu Buana, the typical Indonesian SME is defined by having less than 20 employees and less than Rp 50 million (US$5,000) in capitalization. Indeed this would be consistent with my own limited observations. So Femina decided to support this important group, not just by following with related content, but by taking a leadership position across several fronts. We were able to discuss two important ones: Jakarta Fashion Week and Wanita Wirausaha. After just a handful of years, Jakarta Fashion Week is not only one of the global fashion events for Muslim women, but it is also becoming a gateway event for many native Indonesian designers to reach the international stage. Showcasing 2000 pieces created by 180 designers it brings in more than 150,000 attendees. I was quite impressed with JFW’s Creative Director Diaz Parzada and inquired how it could make sense for a publisher to take a lead role in an event like this. He responded with enthusiasm that “this effort generates content.” Forget counting eyeballs, building reader loyalty, or getting their logo out there, he was most excited about creating new content. I don’t want to alienate my American media friends, but I’ve not heard one of them justify massive community development efforts on the basis of content generation alone. Of course Femina is receiving those previously-mentioned ancillary benefits that only strengthen their brand, but its this perspective on their participation that makes their work remarkable. In fact, Svida mentioned the need to state this refocus with a title like Chief Community Insight Officer. Jakarta Fashion Week involves a jurying process of new and emerging designers. 85% of the fashion show slots are subsidized by Femina, with 15% being purchased by the more established designers. Svida noted that “some designers think that its all about the runway show.” But Femina only selects designers that have 1) have done something new and exciting and 2) are ready with a profitable business to suppport that line. That’s where the mentoring comes in. Femina hires a group of international fashion experts to critique, grow, and finalize each designer’s line. Some stories shared were ones that Idol’s Simon Cowell would probably appreciate, but ultimately the idea was to bring te real fashion world to these designers and help them improve and stand up to the scrutiny and demand s of a succuessful fashion business. Petty Fatimah, editor-in-chief of Femina magazine, heads up a program called Wanita Wirausaha (translated as Entrepreneurial Women). Through a review process, top women entrepreneurs from Indonesia are chosen to not only celebrate their achievements, but to mentor them to go onto bigger and better things. Some are focused on GPS tracking and others on baked goods, or spa services. However, some of the fashion entrepreneurs end up refining their work and making it into Jakarta Fashion Week, which in turn opens up the international stage. Talk about developing local talent! Svida and her staff pointed me to a variety of contacts with whom to follow up, including Lianna Gunawan of La Spina Collections – a success story in both of these programs. I’ll have a further post about my meetings with Lianna. Unfortunately I was unable to make time for the most of the other recommendations the Femina team had for me. The upside is that I have even more reasons why I need to come back to Jakarta’s creative and dynamic scene. This entry was posted in Creative Culture, Eisenhower, Indonesia and tagged Diaz Parzada, entrepreneurs, fashion design, Femina Group, Jakarta, Jakarta Fashion Week, La Spina Collections, Lianna Gunawan, Muslim, Petty Fatimah, SME, Svida Alisjahbana, Wanita Wirausaha on July 24, 2012 by aly.